Manchester United may have only signed two outfield players in this summer transfer window, but it looks like one of them might be good enough to massively assist the team in the coming season. 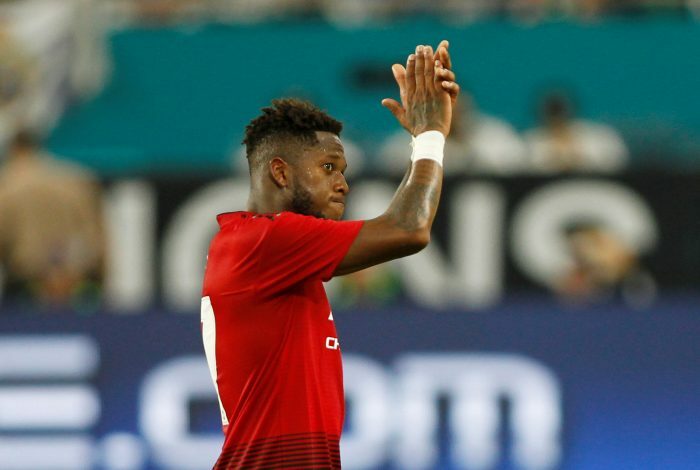 Fred was signed from Shakhtar Donetsk earlier on in the transfer window, and the Brazilian made his first start for his new club against Real Madrid in the International Champions Cup on Tuesday. United went on to win the game 2-1 thanks to goals from Ander Herrera and Alexis Sanchez, but after the game, fans were talking about someone else. Fred looked incredibly comfortable with the ball at his feet, and showed some of the magic that brought him to Old Trafford. Jose Mourinho beat off the challenge from Manchester City and secured the signing of Fred, and it already looks like a good decision. Fans are already impressed with certain attributes of his game, and have highlighted his energy in midfield along with his forward-thinking nature – an aspect of Manchester United‘s game that has been slammed in recent years. The Brazilian was calm under pressure and didn’t needlessly give the ball away to the opposition, causing frustration among the Real Madrid ranks and forcing substitutions the team perhaps didn’t want to make. Andreas Pereira has reportedly emerged as one of Fred’s closest teammates at the club, and that the youngster is spending a lot of time with his new friend in bringing him up to speed with life at one of the biggest clubs in the world. The 25-year-old could prove to be vital for the Red Devils, especially at the start of the season, with several big names injured, and others yet to arrive from their extended holiday after a grueling World Cup campaign. Manchester United will begin their new season against Leicester City on August 10.